George Fincham & Sons 1905, 3m., 20 sp.st., 7c., tub. pn. 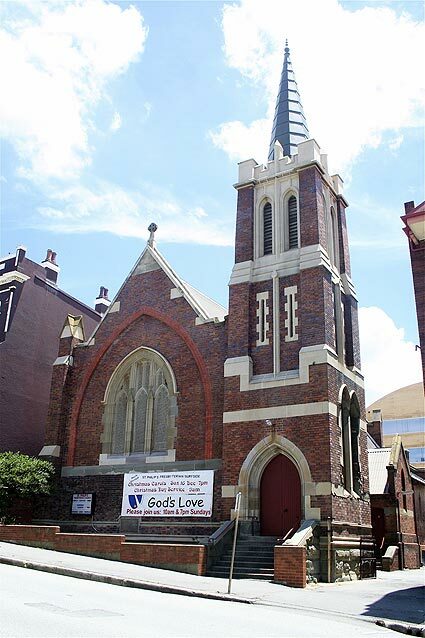 The foundation stone of this neo-Gothic brick church was laid on 5 April 1905 and the building completed just seven months later with the dedication of both the church and organ being on Wednesday, 1 November. The organist for the occasion was Frederick Morley. The church and organ case were designed by Nixon & Adam of Sydney sothat the organ itself stands in a "specially constructed inlet...and brings the dimensions of the great instrument into harmony with the rest of the building." The highly polished and carved case is constructreed from kauri pine. The three manual, 20 stop organ is now the largest and one of the best preserved examples in New South Wales of George Fincham & Son, Melbourne. 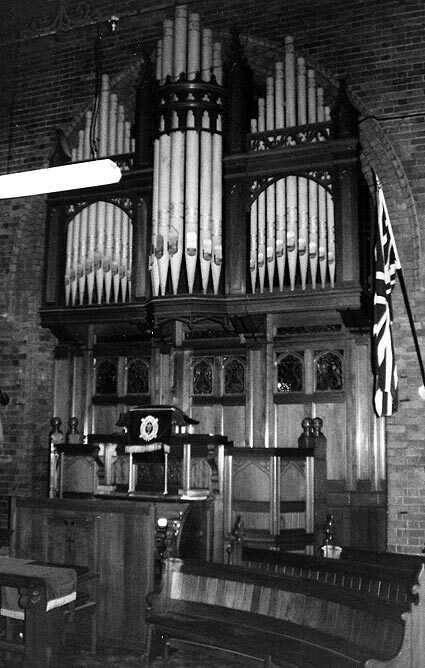 The organ cost £900 and was erected under the personal supervision of L.V. Hunter Fincham. 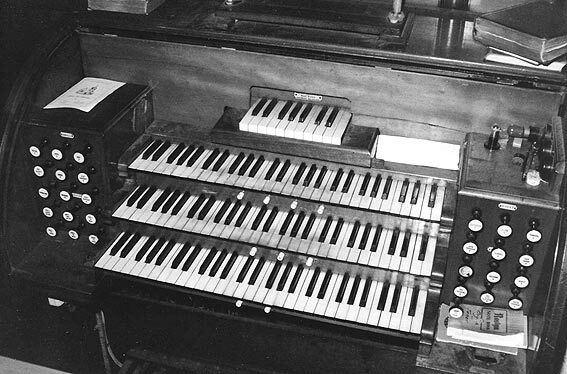 It has tubular-pneumatic action, a detached drawstop console and an hydraulic blowing engine; compass 56/30; three combination pistons to Great, four to Swell, three to Choir. A short compass 4th manual was added at some time to control a carillon. 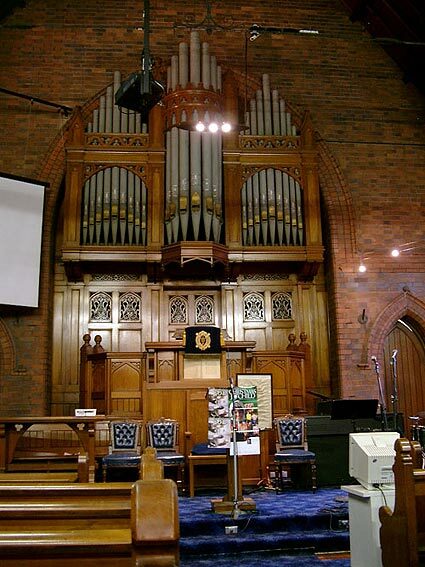 The organ has been sold to St Luke's Anglican Church, Mosman (2006) where it is to be rebuilt.